Hoop Nut 2015 FIBA Asia Championship China FIBA FIBA-Asia Gilas Pilipinas International Iran Japan #FIBAAsia2015 Championship Game Preview: Can Gilas get the win? 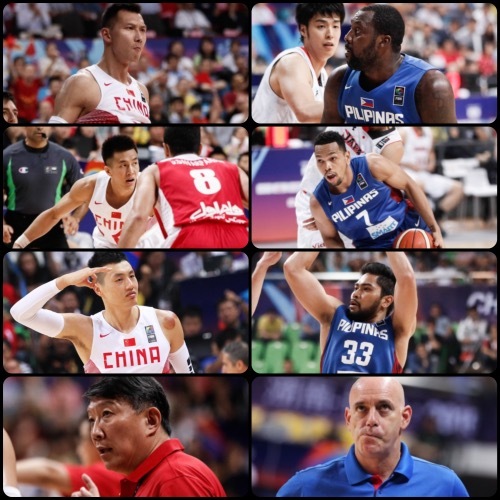 #FIBAAsia2015 Championship Game Preview: Can Gilas get the win? Unbeaten hosts China meet streaking Philippines in the Final of the 2015 FIBA Asia Championship to dispute the continent’s lone outright berth in the 2016 Olympics. China fell out of the top four two years ago when the tournament was held in Manila, but they have looked much stronger here, winning all eight of their games so far. The Philippines, meanwhile, were the goats early on after losing to Palestine, but have not lost since. These two countries split their last two meetings, with Philippines beating China in the 2014 FIBA Asia Cup and China returning the favor in the 2014 Asian Games. China’s outlook: China were so good that they made already-ousted champions Iran look ordinary in their Semi-Final encounter. China’s size and length bothered Iran so much that Team Melli shot just 28.6% from the field and had just 2 assists the entire game. Coach Gong Luming’s wards will probably have the same game plan against the Philippines, who are certainly smaller than the Iranians. Guard play will be critical, though, as China’s pair of young playmakers — Guo Ailun and Zhao Jiwei — will surely be tested by The Blur himself, Jayson Castro. If China can contain Castro and limit Andray Blatche’s production, then Team Dragon should be able to return to the pinnacle of Asian hoops without much worry. Philippines’ outlook: In contrast to their earlier wins in the tournament, the Filipinos have looked shaky in their Quarter-Final and Semi-Final wins. They’ve had trouble covering opposing perimeter shooters, and their offense has looked stagnant if not predictable way too often. Against the mighty Chinese, Gilas Pilipinas will need much sharper execution and, frankly speaking, a helluva game from their stars. If Castro, Blatche, and even sparkplugs like Terrence Romeo and Calvin Abueva can catch fire and keep in step with China, then anything can happen in the endgame. 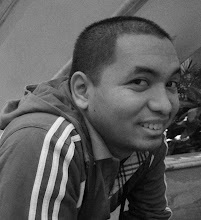 If there’s one potential edge for the Philippines, though, it’s at the PG spot. Both Castro and Romeo have the skills to put their defenders on the backfoot, and if they can do that consistently well, then an upset may be in the cards. Key Match-Up: There is no mistaking that former NBA players Yi Jianlian and Andray Blatche are expected to figure in a momentous collision of talent. Both are huge, mobile, and versatile. They have probably been the two best big men in the entire field, and it feels fitting that they will dispute the grandest prize of them all. Their difference is that Yi can afford a not-so-stellar outing, since he has more talent surrounding him than Blatche does. That doesn’t mean, however, that Yi can slack off. Far from it. This is because if Blatche is allowed to have a monster game, that may just be enough for the Philippines to pull the rug from under the Chinese. Japan’s outlook: Japan started the tournament slow, but they have picked up momentum thanks to the brilliant play of their dynamic duo - Joji Takeuchi and Makoto Hiejima. The pair have so far combined to average 32.0 points, 5.1 rebounds, and 4.3 assists per game while making more than 51% of their field goals. If those two guys can remain highly productive against the Iranian juggernaut, Japan have a chance to slide into Third-Place here. Of course, it goes without saying that they will need plenty of help from the rest of the team, with Yuta Tabuse, Takatoshi Furukawa, and Atsuya Ota among the foremost contributors. Iran’s outlook: It seems Iran’s star has slowly faded in these games, with their losses to the Philippines and China highlighting the notion that this previously indomitable team may now be at the end of a golden age. The fab five of Hamed Haddadi, Oshin Sahakian, Samad Nikkhah Bahrami, Hamed Afagh, and Mahdi Kamrani have not been able to impose their will as strongly as they once could, and the supporting cast led by Mohammad Hassanzadeh and Mohammad Jamshidi have been shaky against the strongest of opposition. Team Melli will still be heavily favored in this rematch with Japan, but their failing to reach the Final perhaps indicates that some changing of the guard is now needed. Key Match-Up: Big men Hamed Haddadi and Joji Takeuchi play so differently from each other, but their match-up will be critical in this encounter. Don’t be shocked if Haddadi barrels his way into the paint to exploit his edge in size. On the other end, Takeuchi will be expected to stretch the defense with his outside shooting and high post play. More pressure will be on Haddadi, though, as Iran have never ended their tournament on a losing note since the 2005 FIBA Asia Championship. Incidentally enough, Japan were the ones who dealt them that defeat. These are reposts from the previews I wrote for FIBA.com. FOR MORE 2015 FIBA ASIA CHAMPIONSHIP ACTION, CHECK OUT OUR DAILY ROUNDUPS!